1. JOHN1 GATES1 was born 1795 in London, England1, and died 1866 in Charlottetown P.E.I, Canada1. He married MARGARET THOMAS1 1824 in London, England. 2. i. JOHN HENRY2 GATES, b. January 4, 1824; d. August 2, 1918, Charlottetown P.E.I, Canada. 2. JOHN HENRY2 GATES (JOHN1)1 was born January 4, 18241, and died August 2, 1918 in Charlottetown P.E.I, Canada1. He married (1) MARTHA ANN CHAPPELL1 August 19, 1847 in St. Paul's Church, Charlottetown, P.E.I.. He married (2) JANE HODGSON CURRIE1 October 29, 1895.
i. SOPHIA3 CAROLINE1, b. March 11, 18491; m. CHARLES .E. ROBERTSON1, November 16, 1875. 3. ii. HENRY SYLVANIOUS GATES, b. October 25, 1853, Charlottetown P.E.I, Canada; d. 1887, Bozeman, Montana. u.s.a.
iii. MARGARET ALMA GATES1, b. January 13, 18551; d. 1927, Charlottetown P.E.I, Canada1; m. JAMES MAC LEOD1. iv. JOHN THEOPHILUS GATES1, b. June 15, 1856, Charlottetown P.E.I, Canada1; d. January 21, 1878, Charlottetown P.E.I, Canada1. 4. v. BENJAMIN FRANKLIN GATES, b. November 18, 1858, Charlottetown, P.E.I; d. 1926, Charlottetown P.E.I, Canada. vi. FREDERICK WILLIAM GATES1, b. October 2, 1860, Charlottetown P.E.I, Canada1; d. 1932, Anaconda, Montana1; m. IDA CRABBE1. vii. ARTHUR GATES1, b. September 3, 18621; d. 19321; m. ELIZABETH BARRETT1. 3. HENRY SYLVANIOUS3 GATES (JOHN HENRY2, JOHN1)1 was born October 25, 1853 in Charlottetown P.E.I, Canada1, and died 1887 in Bozeman, Montana. u.s.a1. He married LEAH E. COLES1 June 13, 1878, daughter of JAMES COLES. ii. HARRY GATES1, b. 18791.
iii. GEORGE GATES1, b. 18801. Gates/Mayflower Mills, Photo taken c.a. 1964. 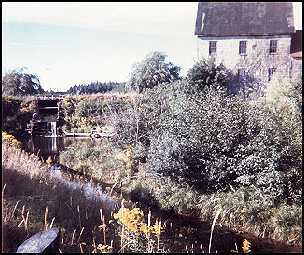 The mill was purchased c.a. 1888 by John Henry Gates for sons Henry Sylvanious Gates and Benjamin Franklyn Gates. The West Royalty flour mill was previously run by John Scott and Charles Leard. The mill is now gone, falling victim to needs of the Charlottetown bypass highway expansion project. Photo property of Bob Gates. 4. BENJAMIN FRANKLIN3 GATES (JOHN HENRY2, JOHN1)1 was born November 18, 1858 in Charlottetown, P.E.I1, and died 1926 in Charlottetown P.E.I, Canada1. He married CLARENDA MARY HYDE1 November 29, 1881 in Meadow Bank Farm, West River, P.E.I., daughter of SAMUEL HYDE and MATILDA SHAW. 5. i. MARTHA. MATTIE4 GATES, b. September 12, 1882, Charlottetown P.E.I, Canada; d. October 28, 1948.
ii. PERCY SAMUEL AKA. ( BUS) GATES1, b. March 4, 18841; d. November 8, 19531.
iii. ETTA ROBERTA GATES R.N.1, b. December 19, 18851; d. October 6, 19701. 6. iv. JENNIE ISOBELLA GATES, b. October 13, 1887; d. October 1970. 7. v. HAZEL ELIZABETH GATES, b. August 8, 1890, Charlottetown P.E.I, Canada; d. December 3, 1956. 8. vi. JACK FLEMUEL GATES, b. January 26, 1892, Charlottetown P.E.I, Canada; d. December 4, 1978. 9. vii. HELEN MARGARET GATES, b. March 31, 1894; d. December 4, 1978. 10. viii. FREDERICK ADELARD GATES, b. April 17, 1896, Charlottetown P.E.I, Canada; d. 1965, Charlottetown P.E.I, Canada. 11. ix. MARION IDA GATES, b. March 20, 1899; d. October 2, 1977. 12. x. BENJAMIN FRANKLIN GATES, b. August 16, 1900, Charlottetown P.E.I, Canada; d. March 4, 1966.
xi. ARTHUR MILTON GATES1, b. March 3, 19021; d. December 15, 1987, Beach Grove Home for the elderly. Charlottetown, P.E.I., Canada1. 5. MARTHA. MATTIE4 GATES (BENJAMIN FRANKLIN3, JOHN HENRY2, JOHN1)1 was born September 12, 1882 in Charlottetown P.E.I, Canada1, and died October 28, 19481. She married JAMES STEWERT1. Children of MARTHA. GATES and JAMES STEWERT are unlisted as some may still be living! 6. JENNIE ISOBELLA4 GATES (BENJAMIN FRANKLIN3, JOHN HENRY2, JOHN1)1 was born October 13, 18871, and died October 19701. She married LEO BALL1. Child of JENNIE GATES and LEO BALL is unlisted to protect privacy!! 7. HAZEL ELIZABETH4 GATES (BENJAMIN FRANKLIN3, JOHN HENRY2, JOHN1)1 was born August 8, 1890 in Charlottetown P.E.I, Canada1, and died December 3, 19561. She married FRANCIS LESLIE MUTCH1, son of DAVID MUTCH and SARAH MUTCH. 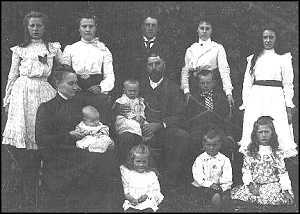 Children of HAZEL GATES and FRANCIS MUTCH are unlisted as some may still be living! 8. JACK FLEMUEL4 GATES (BENJAMIN FRANKLIN3, JOHN HENRY2, JOHN1)1 was born January 26, 1892 in Charlottetown P.E.I, Canada1, and died December 4, 19781. He met CHRISTIE1. Child of JACK GATES and CHRISTIE is unlisted to protect privacy!! 9. HELEN MARGARET4 GATES (BENJAMIN FRANKLIN3, JOHN HENRY2, JOHN1)1 was born March 31, 18941, and died December 4, 19781. She married WILFRED ROBERT BOVYER1. Child of HELEN GATES and WILFRED BOVYER is unlisted to protect privacy!! 10. FREDERICK ADELARD4 GATES (BENJAMIN FRANKLIN3, JOHN HENRY2, JOHN1)1 was born April 17, 1896 in Charlottetown P.E.I, Canada1, and died 1965 in Charlottetown P.E.I, Canada1. He married EDITH WINIFRED JENKINS1 September 1, 1922 in 1st Baptist Church ,Charlottetown, P.E.I.1, daughter of ROBERT JENKINS and MARGARET HOOPER. Children of FREDERICK GATES and EDITH JENKINS are unlisted as some may still be living! 11. MARION IDA4 GATES (BENJAMIN FRANKLIN3, JOHN HENRY2, JOHN1) was born March 20, 1899, and died October 2, 1977. She married ROBERT SNAZELLE. Property: Owned Bunbury Nurserys in Bunbury P.
Children of MARION GATES and ROBERT SNAZELLE are unlisted as some may still be living! 12. BENJAMIN FRANKLIN4 GATES (BENJAMIN FRANKLIN3, JOHN HENRY2, JOHN1)1 was born August 16, 1900 in Charlottetown P.E.I, Canada1, and died March 4, 19661. He married BERNICE RODD1, daughter of WHATAT RODD and BESSIE SELLER. Children of BENJAMIN GATES and BERNICE RODD are unlisted as some may still be living!